9.5" x 4.75" x 3.125"
9.5" x 9.5" x 3.125"
4.75" x 4.75" x 3.125"
Eco-Priora can be manufactured in a herringbone pattern for mechanical installation. This is only available by special order, please contact your representative for details. Installation rates up to 12,000 sq.ft. per machine per day have been documented. This makes Eco-Priora a very competitive permeable pavement that can be installed even in adverse weather conditions. Special Order - Lead Time Required. Minimum quantities apply. Sold in full bundles only and is shipped on a refundable skid. 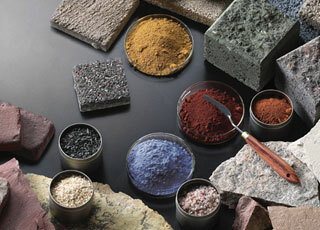 Eco-Priora™ can be manufactured in a variety of custom colors and textures. Specially graded aggregates must be used for the joints. Contact Unilock for information.